Away from the busy summer school holidays Lenvos has proven to be a superb base for all ages to enjoy the great outdoors. Not only is the countryside beautiful and interesting but the villages remain unspoilt and the roads empty. The history of the celtic breton people is well preserved throughout. From ancient standing stones and megaliths, the chapels and calvaries originating in the middle ages, to the manoirs and farmsteads of the last four centuarys. 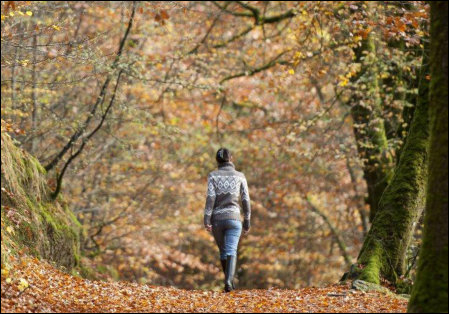 Walking is easily accessible and varied in both type of terrain and difficulty. We have numerous tried and tested routes to share with guests ? In addition we can help with your own planning and provide information on walks recommended, signposted and maintained by the local tourism offices. We can provide both packed lunches, evening meals and have a host of tried and tested restaurants to recommend. The ‘Repas Ouvrier’ or workmans lunch is still an institution in this part of France, with four courses and wine for about £6. 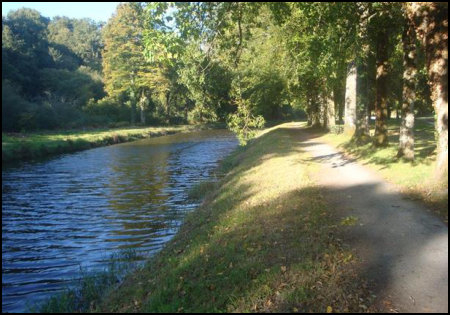 On our doorstep we have the easiest walking, along the towpath following the route of the Nantes to Brest Canal which also carries the River Blavet. This superb feat of civil engineering was built by prisoners of war as an artery through Brittany. Designed to supply Napoleons western flank safe from the marauding Royal Navy. The broad tree lined waterway meanders through the rolling unspoilt countryside, little changed for nearly 200 years. To the north is the ancient 10,000 acre oak forest of Quenecan. Now the home of wild boar, deer and red squirrels but once kept over a thousand ‘woodsmen’ who produced charcoal for iron smelting and timber for construction. The forest is dotted with hidden chapels and megaliths, steeped in legend and bisected with hunting rides. In the centre of the forest is the the Lac de Guerledan, formed by damming the Blavet in the 1920’s. It formed Frances largest hydro electric station, a lake eight miles long covering 1000 acres and a superb facility for water-sports, fishing and nature lovers. A circular shoreline footpath gives the walker some spectacular views and with a gentle breeze off the lake makes for a refreshing walk even on the hottest of days. There are sandy beaches lakeside bars and restaurants. Along the north shore of the lake lies the route of a disused small gauge railway. Now it is well used by cyclists and walkers alike. Two nationally recognised pathways pass within a few km of Lenvos, GR39 runs north to south and GR341, east to west. 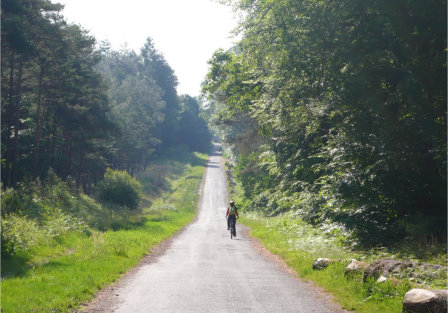 Both are popular long distance paths but they also form sections of many other interesting walks. The Weather – Generally the weather in Brittany is similar to that of the Southern England but is on average four to five degrees warmer. Spring starts in March, and the leaves don’t fall until late November. The rolling countryside is green and lush throughout the year. Wild flowers are at their best from April onwards and the first flush of wild mushrooms usually comes in October.